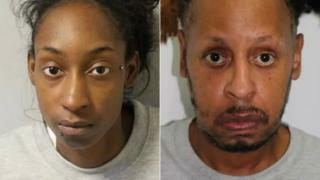 A “devious” couple who staged their baby’s death in a “cynical charade” on a bus have been jailed for 11 years. Rosalin Baker, 25, and Jeffrey Wiltshire, 52, contrived the plan to cover up the frightening insult of babe Imani at home. The 16 -week-old had 40 rib fractures, a busted wrist and fractured skull. At the Old Bailey, Judge Nicholas Hilliard QC told the pair the child’s last days must have been “terrifying, pain and bewildering”. They were convicted last-place month of stimulating or letting Imani’s death in September 2016, but were acquitted of murder. 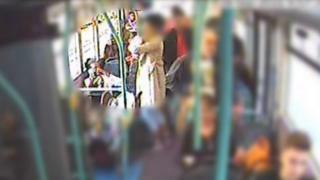 Jurors were told Wiltshire and Baker attempted to hide what had happened by making it appear the babe had suddenly been taken ailment on the multitude 25 bus. As he sentenced the couple, Judge Hilliard told them they had placed their best interests “before those of a helpless and dependent baby”. Branding the pair serial liars, he said their credibility was “always in doubt”. The court discovered Imani’s lethal top traumata were comparable to those sustained by superhighway gate-crash preys or in a fall from a first-floor window. Even though the jury could not is ensured who was responsible, Judge Hilliard was of the view that, given the extent of her hurts he had concluded that whoever had done it proposed really serious bodily harm. He described the cover-up on the bus as a “cynical charade”. 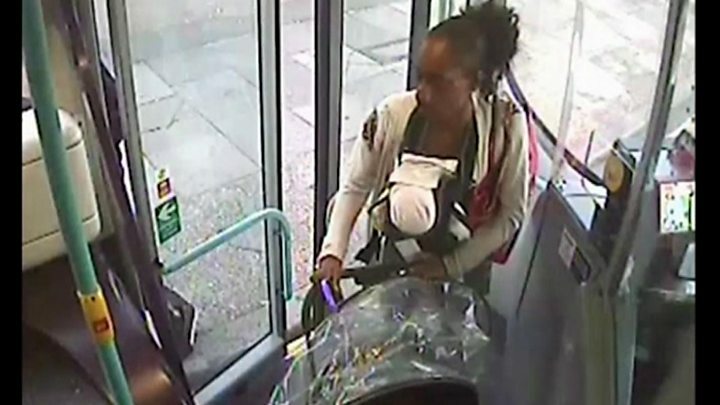 On the morning of 28 September, Wiltshire was caught on CCTV kissing Baker and opening her a thumbs-up sign as she boarded the bus to Stratford, east London, with Imani’s body buckled to her chest. During the excursion, she grew the alarm and passengers desperately tried to save Imani by handing her CPR and announcing an ambulance. 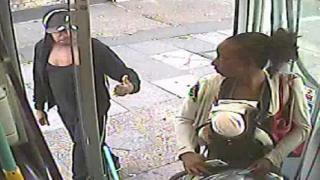 One woman who tried to give firstly aid to the baby girlfriend said she was “still in shock”. “I cannot sleep any more. I cannot take the bus any more … it break-dance my middle, ” she said. Baker had tried to blame her abusive and controlling boyfriend during the course of its tribulation and claimed he tried to frame her by pushing her on to the bus with their dead child in a sling. In the week before Imani’s death, Baker had moved from her mother’s house in Colchester, Essex, into Wiltshire’s bedsit in Newham, east London. It was during that time that Imani was attacked. In a statement, children’s donation the NSPCC described it as “a deeply disturbing case”. “We hope an upcoming serious instance refresh affords much-needed reactions about the circumstances smothering this tragic fatality, ” it said.